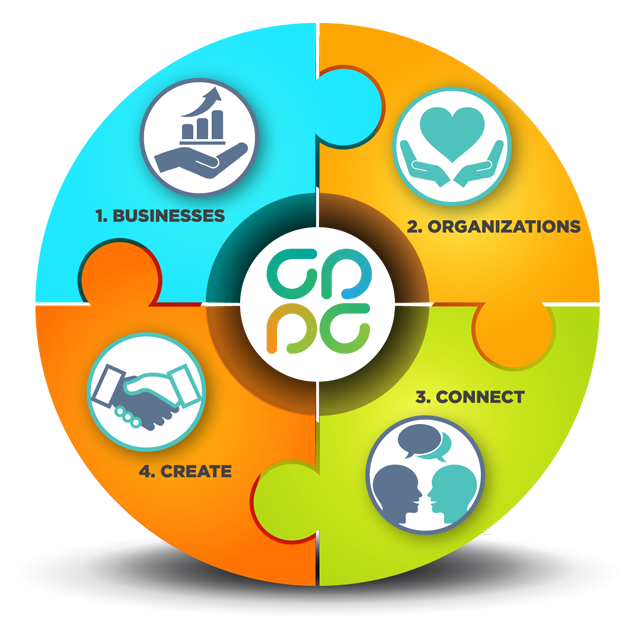 Our mission is to help small businesses and local non-profit organizations come together to build communities and economies through mutually beneficial partnerships. Come be a part of our movement towards good! Organizations sign up and search for Businesses within their desired area. Once the Organization identifies a potential philanthropy partner, they reach out to the Business through the CPP Connect dashboard to start the dialogue. The Business and the Organization agree on how they'll work together and then wonderful things happen for everyone! "CPP Connect is an incredible platform. Our business and our presence in the community has really increased!" "I love working with CPP Connect. on activities to make our community stronger. It makes things much easier on both sides!"